Unidentified photo of grave markers. 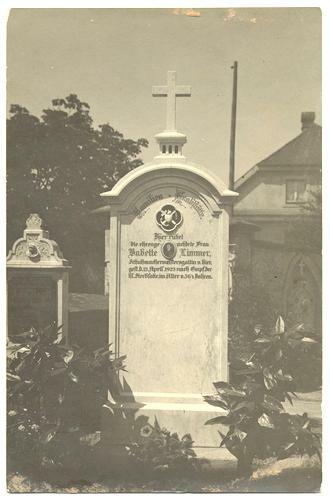 Inscription appears to be in German language. Light corner tip wear. Small bits of paper adhered at top and bottom edges.